The SZALAJKA HOTEL AND RESTAURANT can be found in the centre of Szilvásvárad, in a mountain resort village at the foot of the Bükk mountains. The renovated building you can find under 100-years-old trees, by the bank od a little stream. In the restaurant besides fish and game specialities you can also choose from typical meals of the hungarian cuisine. Our double rooms are equipped with bathroom (shower), TV provide undisturbed relaxation for our guests. We have banquet rooms (for 20 and 40) for trainings or special programmes, these are furnished with flipchart, video, TV, projector and notice-board. Closed parking place, sauna and massage are provided too. The sights of Szilvásvárad, the natural beauty of the area, the hill-walking and sport facilities, and also the sights of Eger, a beautiful baroque town nearby, offer you a wide choice of programmes for a long holiday, too. 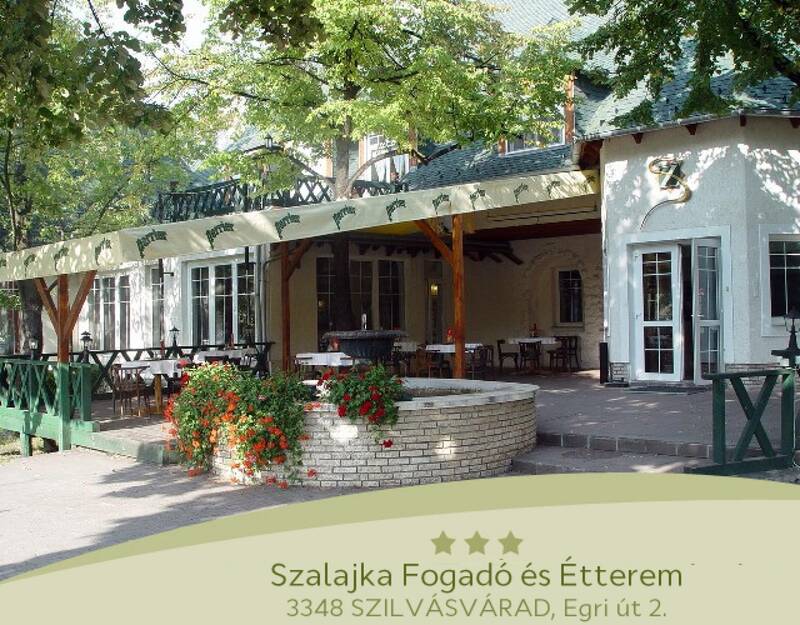 The rating of Szalajka Fogadó Szilvásvárad is 8.9 from the maximum 10, 425 based on actual and valid guest ratings and reviews.